​Former Sunderland and Leeds United manager Simon Grayson was spotted attending Newcastle training this weekend, after being invited along by Rafa Benitez to observe a session as part of a League Managers Association (LMA) visit. Grayson was included in a list of guests - including Jimmy Floyd Hasselbaink and Gary Caldwell - who were pictured taking in the session in a ​photo gallery on the Newcastle club website. Grayson briefly managed Newcastle's bitter Tyneside rivals Sunderland in 2017 in a disastrous spell following their relegation to the ​Championship, which saw him relieved of his duties in October before Sunderland's eventual relegation to League One. In addition to watching the session, the selected coaches had the opportunity to speak at length with Newcastle boss Benitez, who is one of the most respected coaches in the game. Rafa has been a busy man in recent days, as the same article on the ​Newcastle website also confirms Benitez's attendance at the ​UEFA Elite Club Coaches Forum, where he met with 14 other esteemed club bosses such as ​Manchester United's Jose Mourinho and​ Napoli manager Carlo Ancelotti. The summit was held in order for top coaches to share their thoughts on a number of matters with UEFA, including transfers, refereeing issues, and the upcoming UEFA club competitions. 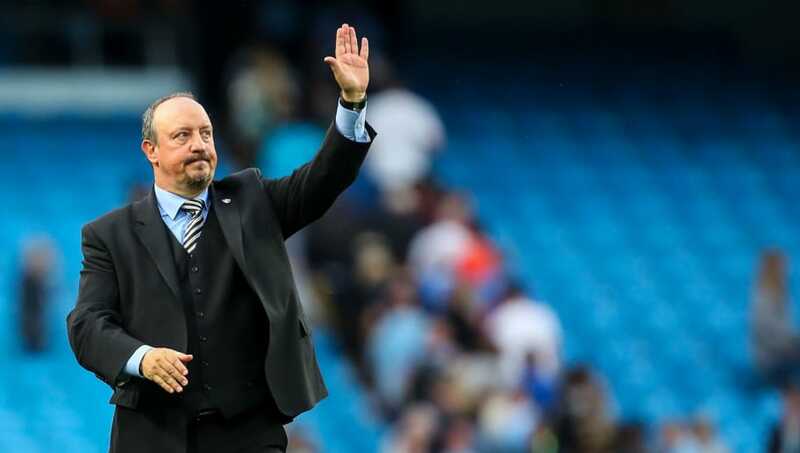 With all the fun out of the way now, however, Benitez now turns his attention to club matters, as Newcastle look to kick on after the international break and bounce back from a miserable start to the ​Premier League season. While their dismal run should be attributed somewhat to the unenviable start they were handed - facing ​Tottenham, ​Manchester City and ​Chelsea in the early fixtures, with ​Arsenal next on the agenda - one point from four games so far leaves them sitting in the relegation zone, with plenty for Rafa to work on.